You have just landed at the DXB airport and have a day to spend in the most gorgeous emirate of UAE. 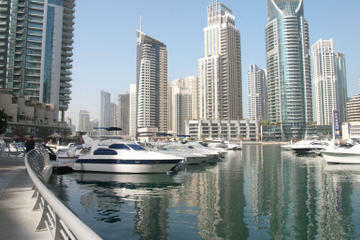 Before the next onward flight, you want to make the most of Dubai's shopping, cuisine, outdoor and architectural marvels. But with the clock running out on 24 and so much to see, how would you plan your one day in Dubai? Quick planning and a brush up on the city's everyday routine will help you experience the most sought after activities. Truly, it is very difficult to fit in favourite attractions in 24 hours from such an extensive list. We have listed out some highly recommended activities and attractions along with the time needed to have a complete glance at each of them. One of the most sought after itineraries for Dubai tour packages, the 4x4 Dubai Desert Safari is an exhilarating 5-hour excursion across the deserts of Dubai. Travel in a 4x4 vehicle, taking in the amazing scenic views as the expert guide drives. Enjoy a pure adrenaline rush experience sandboarding down Dubai’s desert dunes, ride a camel Bedouin style and get a henna tattoo. In the evening be pampered with a traditional tamboura dance performance under the twinkling stars. 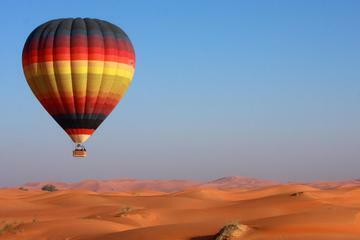 See for miles over the unforgettable panorama of the Dubai Desert Conservation Reservation on a hot air balloon flight. After departing from your Dubai hotel to Margham by minibus, watch the sunrise glide over the tranquil desert as you experience the sense of freedom of floating through the air. Admire stunning desert panoramas and then after an hour in the air, return back to the ground to enjoy a refreshing celebratory drink before returning to Dubai. 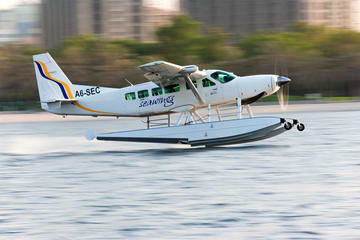 This 40-minute seaplane flight takes you to the skies, awarding you with spectacular aerial views of the city’s finest attractions and landmarks such as Burj Khalifa - one of the world’s tallest buildings, Palm Jumeirah and The World archipelagos, Dubai Marina, Jebel Ali, Port Rashid and more! Choose one of the four start times to fit your schedule. 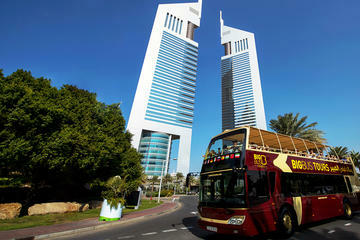 Take a sightseeing bus tour to see Dubai's famous attractions on a double-decker, hop-on-hop-off Big Bus. 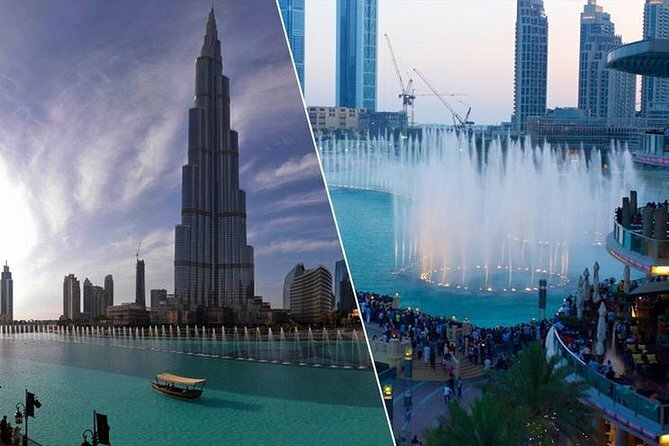 This thoughtfully designed tour along a choice two routes includes key places of interest such as the Jumeirah Beach, Burj Khalifa, Al Fahidi Fort, Dubai Creek and more. When you buy a Big Bus ticket, it gives you the flexibility to hop on and off the bus at the attractions which interest to you most, as many times as you like. Choose from a 24 or 48 hours pass to create a tailor-made sightseeing tour. Spend a day relaxing to the pace of desert life with a private guide, and enjoy a camel ride and sandboarding session as well as savour a sunset barbecue dinner, drinks, and live music and dance performances! 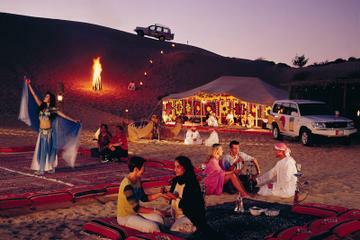 After departing Dubai by private 4x4 vehicles, reach the camel farm for a ride; try your hand at sandboarding before heading to the desert campsite for a BBQ dinner and folk and belly-dancing show. If you wish, you can upgrade the tour to add a 30-minute or 60-minute quad biking session. Experience the vibrant and cosmopolitan life of Dubai on this Half-Day Sightseeing Tour, taking in Dubai's main attractions and historical sites. Admire Dubai’s famous landmarks such as the beautiful Burj Al-Arab hotel and charming Jumeirah Mosque, and learn fascinating facts about each attraction from the expert guide. Soak in views of the city's most attractive places and scenic residential areas, and explore Bastakiya, Dubai's most engaging neighbourhood. 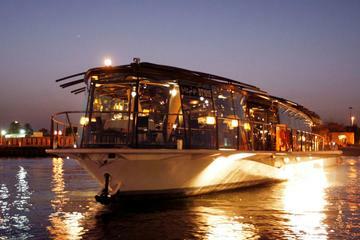 Cross the Dubai Creek to Deira in an abra, take pleasure in shopping at Dubai Gold Souk and visit the famous spice souk. If you're looking to customize your Dubai city tour with your personal tour guide, you should definitely book Dubai City Half-Day Sightseeing Private Tour. Discover beautiful sights in Dubai and its surroundings, from Jumeirah Mosque to famous attractions such as the sail-shaped Burj Al Arab hotel. From the comfort of your own vehicle, see charming Dubai neighbourhoods, followed by Dubai's old quarter, Al Bastakiya, and Dubai Museum by foot. most important places in the city ,, Drive to Palm Island and take pictures at Atlantis hotel,Take pictures at Dubai Marina skylines,do photo-stop at Burj Al Arab hotel ( outside ),,, Drive to the Old souks ( Spice & Gold markets ), Visit Dubai mall for free time & watch the fountain show next to Burj Khalifa tower. Admire the iconic skyline and glimmering lights of Dubai on this memorable glass-enclosed ‘Bateaux Dubai' dinner cruise. As you savour the beauty of wonderful night lit riverside attractions, a waiter will serve you a welcome drink and canapés followed by a delicious 4-course meal serenaded by live piano music. Sip on a selection of alcoholic drinks or sodas, depending on which option you select.